What better way to start the year than through an unconference? 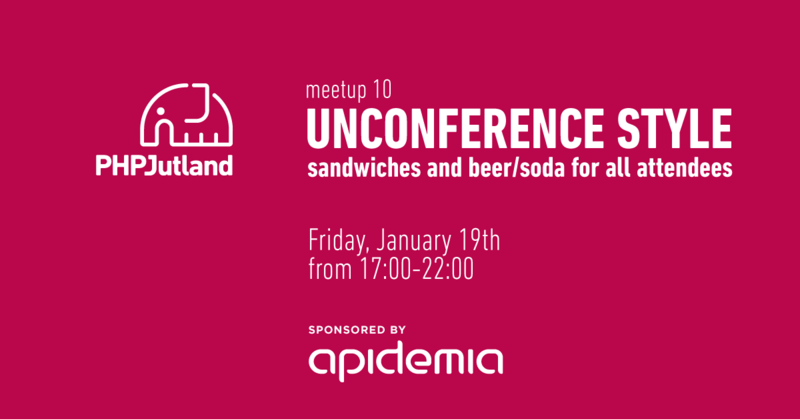 So, next Friday, PHP Jutland is hosting the 10th meetup, this time following the unconference model, meaning there will be no set topics. We want to encourage everyone to discuss their actual challenges and interests within software development. Feel free to participate and invite colleagues or friends who might be interested! And let’s not forget, have a happy and successful 2018!